« CFI nominates MMIT for 2014 Best Mobile Banking Solution Nigeria! 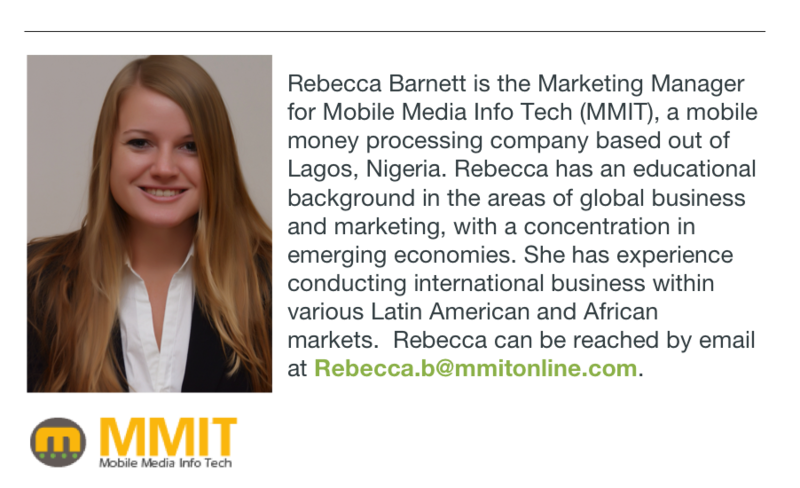 The next destination in MMIT’s mobile market series is Ghana, a country that is populated by more mobile phones than people. Ghana presently has a mobile phone penetration rate of nearly 109%, one the highest in all of Africa. However, this statistic does not equate to every Ghanaian owning a mobile phone; this high percentage is due to people having multiple phones or SIM cards. Even so, this statistic is eye-catching to those in the mobile industry and Ghana is a country that should not be ignored. The actual number of unique mobile phone owners in 2013 was an estimated 15 to 16 million. Ghana continues to see rapid growth in the amount of mobile subscribers, and of all the Sub Saharan countries it is ranked 4th behind Kenya in amount of mobile users. Ghanaian consumers are more connected to media content compared to other countries in Sub Saharan Africa, largely due to the fact that the country boasts the highest penetration of mobile broadband in the region. Data subscriptions are growing faster than voice and are the focus of players within the industry. Ghana’s telecommunications industry has 6 major providers: MTN, Tigo, Airtel, Glo, Vodafone, and Expresso. The spread of media and technology has penetrated so deeply into the country that media touches even the most rural areas. TV, radio, and internet penetration rates exceed most of their African counterparts, while the more traditional newspapers and magazines lag behind. Mobile phones are predominately used for text messaging followed by voice calls and accessing the internet. Social media is extremely popular and ever growing in Ghana placing it behind South Africa, Nigeria, and Kenya for most users. The presence of media greatly influences Ghanaians as they are easily swayed by packaging, advertising, and the reputation of a brand. As seen throughout much of Sub Saharan Africa, Ghana has a youthful population, 56% of the 26.4 million residents are under the age of 25. The abundance of youth is the ideal environment for introducing the latest technologies as they are quick to adapt to innovations. Additionally, a large portion of the population is financially excluded. According to Fidelity roughly 70% of the adult population in Ghana is unbanked as of March 2014. An unbanked population is an opportune environment for mobile payments, as people do not have bank accounts, lack trust in the banking system, and are at large a cash-based economy. Visa reported in 2013 that the Ghanaian market is one of the leading mobile money markets in the world. A survey that was conducted by the payment company revealed 93% of respondents were aware of mobile money options. Although this may be an attractive market to enter, many mobile payment providers have failed to tap into the market due to its intricacies and barriers to entry. 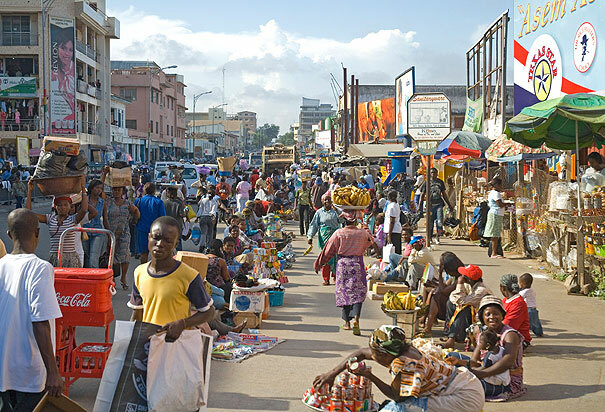 Ghana was recognized in 2013 by the Economist as one fastest growing economies in the world. As a result, the country has attracted the interests of investors from all over the world. The political environment is stable and often considered a model for success in West Africa. Unfortunately, this impressive growth has declined since early 2014 due to currency issues. Ghana has seen the world’s worst currency slide as the Cedi plunged 36% against the dollar this year. As a result of this currency crisis, inflation has spiked to a hefty 15%. This causes concern for entering the country as it effects foreign exchange rates and cost of goods to consumers. This currency crisis has led to a rise in taxes on bank transactions. Fees can be as high as 17.5% as a VAT (Value Added Tax) rate, causing people to pull money out of the banks and close their accounts. This only furthers Ghanaian’s mistrust in the government and banking systems. In light of these issues, many banks have been reacting to the crisis by revamping their brand images, adding new innovative products, and launching new mobile apps in effort to retain and attract customers. Many of these initiatives popped up at the beginning of 2014 and focus on reaching unbanked consumers or debuting never before seen value added services into the product mix. These issues present an interesting opportunity for the mobile payment market, as people will avoid traditional banking methods or transactions with associated fees. 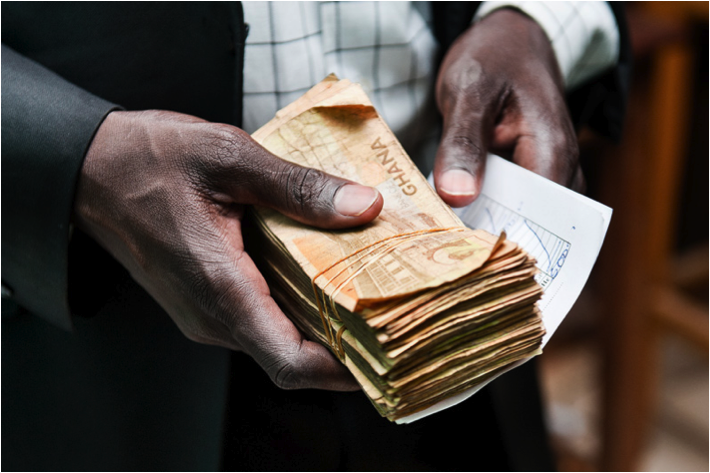 Mobile money is a convenient way to address the unbanked and bring people into some form of financial inclusion. With changes developing so quickly within the Ghanaian market it presents considerable barriers to entry and thereby furthering the difficulty of entering the market. Those who can successfully enter this market will reap considerable benefits, as the market is risky yet ripe with opportunity – particularly in the mobile sector.